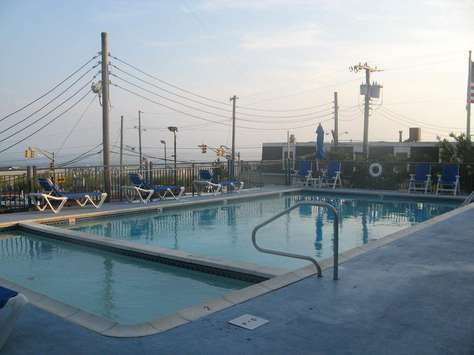 Desirable 2nd floor of the Tides, Cape May's premier location. 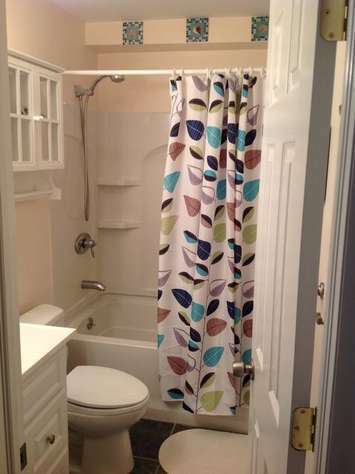 Beautiful condo with modern kitchen and bath, new paint and flooring. Enjoy coffee or cocktails on the patio deck while watching sailboats go by. Steps to the beach, and 1 block to the Washington Street Mall for restaurants and shopping. Ocean views and easy access to the pool. Condo is beautifully furnished, with central A/C, flat-screen TVs (living room and master bedroom), DVD player, full tub with shower, and includes a dedicated parking space. Sleeps 4: Queen bed in master bedroom, bunk bed (twin over full) in 2nd bedroom. 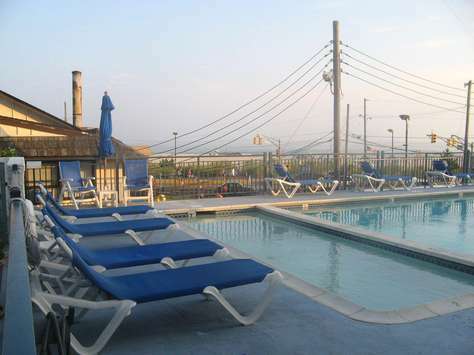 Elevator, laundry room, sun deck, patio seating, pool and kids pool, overlooking beach and mini-golf. An oasis! Maximum occupancy 4 persons. No smoking, no pets. Both Keurig and standard coffee makers.